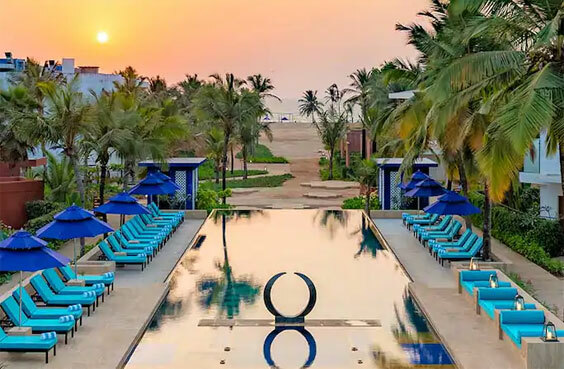 Azaya Beach Resort is a luxurious 5-Star Resort in South Goa, along the Benaulim beach. Azaya Resort Goa has 114 rooms in various categories, and out of this 38 are rooms with Plunge Pool. Azaya Resort offers well crafted accommodations to the guests, along with a Spa that offers tranquility and relaxation. The Resort also has a beautiful swimming pool and restaurants which serve delicious cuisine.